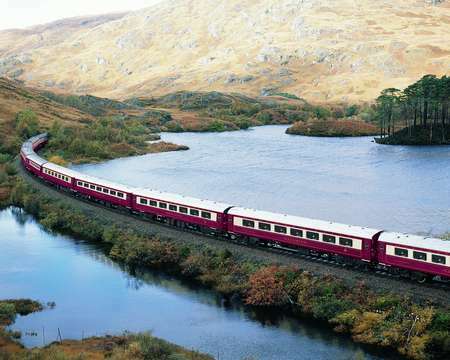 Belmond Northern Belle evokes the bygone era of the Golden Age of Travel, its name reflecting the great “Belle” trains of the 1930s. Launched in 2000, it departs from more than 65 towns and cities including Manchester, Liverpool, York, Leeds, Newcastle, Crew, Chester, Edinburgh, Glasgow, and Birmingham. Each carriage on the train bears the name of a significant stately home or castle, such as Chatsworth, Glamis, and Warwick. 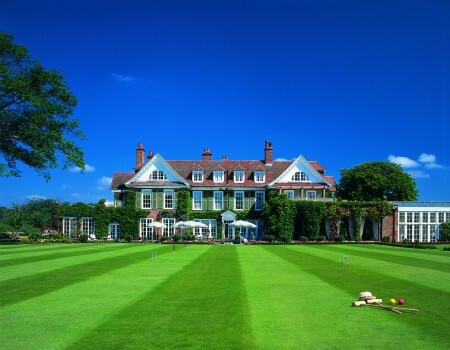 The Belmond British Pullman carriages of the Venice Simplon-Orient-Express offer travelers an extensive program of luxury experiences and day excursions to Britain’s historic towns, stately homes, and sporting and social events. 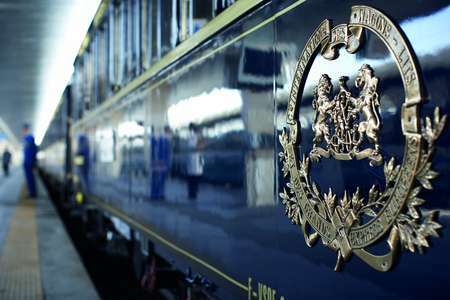 It also plays an integral role in the London to Venice (and Venice to London) journeys aboard the Venice Simplon-Orient-Express, bringing guests from London to the coast where they are driven through the tunnel in a luxury motor coach. Each carriage is an original masterpiece from the 1920s or 30s, full of rare timber veneers, custom-loomed fabrics, and solid brass work, and meticulously restored. 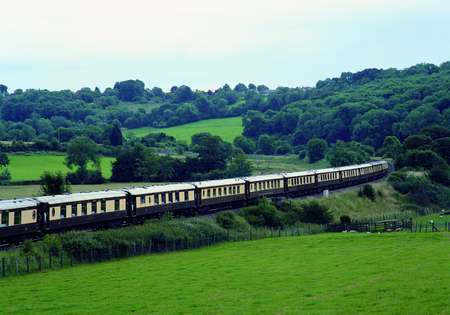 The delicious meals served on the train are based on English country fare, reflecting the destination of the excursion, and are always accompanied by a selection of fine wines. The ultimate in luxury train travel, the Venice Simplon-Orient-Express takes guests on the classic journey from Paris to Istanbul as well as routes from London, Venice, Prague, Vienna, and Budapest. In 2016, the Venice Simplon-Orient-Express will also make its inaugural journey to one of Europe’s most fascinating cities, Berlin. The art deco interiors in the authentic vintage carriages and the gracious service take one back to the glamorous age of train travel of the 1920s and 30s. The fine dining restaurants on the train are complemented by the elegant Champagne Bar and the new '3674' Bar Car. While traveling in private cabins, passengers are attended by cabin stewards throughout the journey. Each cabin is beautifully decorated in mahogany panels and Art Deco floral and leaf patterns. During the day, the cabin is a lovely seating area where guests can enjoy tea, and at night, while guests dine, the steward transforms the cabin into a comfortable bedroom with soft towels and crisp linens.